There’s no denying that vintage is a massive trend right now, and one which, here at Cellardoor, we’re most definitely embracing. From 50s tea dresses to 60s shifts, from sewing and knitting to scrapbooking and baking, us girls are increasingly abandoning modern pursuits to spend our free time sitting in tea rooms and shopping for classic finds. 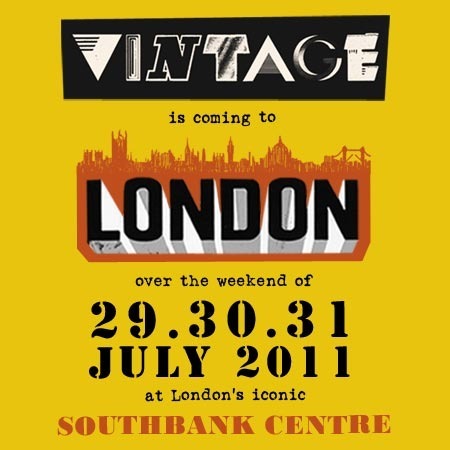 With its ever-increasing popularity, vintage-inspired events are springing up all over the UK - and the biggest and best of all of these has to be Vintage at Southbank, a celebration of old-fashioned music, fashion, film, art, design and dance over the last weekend of July. Having moved from its home in Goodwood last year, the festival is re-locating to the capital for one big three-day party - and it’s fair to say we’re quite excited about it. All six floors of London’s Royal Festival Hall will be transported back in time for the weekend, offering something for every fan of old-fashioned culture; visitors can go shopping at one of The Vintage Emporium’s pop-up shops, get involved in the dedicated creative workshops and pause for food at the old school ‘Canteen’. The ‘Vintage Revues’ auditorium is also hosting catwalk shows and live dance performances - and if you fancy trying out the steps yourself, you can finish the night off in one of eight vintage nightclubs playing music spanning seven decades. 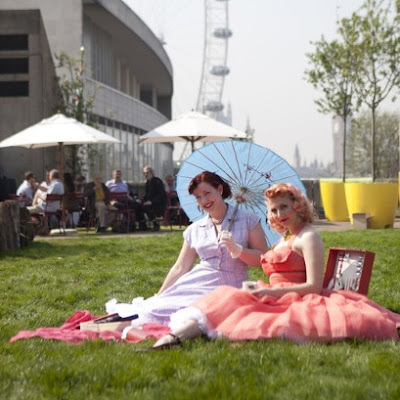 Vintage at Southbank runs from Friday 29th to Sunday 31st July, and with tickets starting from £60, it’s the festival with a difference that can’t be missed this summer. 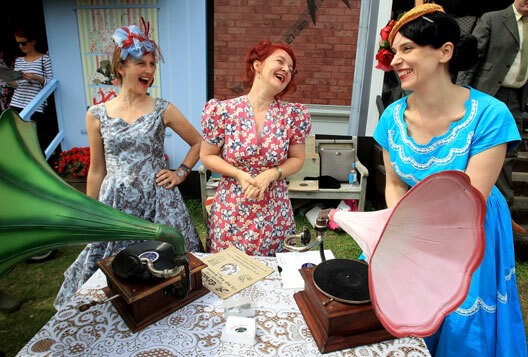 And if Vintage leaves you wanting more, why not get a further dose of old-fashioned entertainment over the next few months? August: Head down to the Vintage Event at Balham Bowls Club in South London on 14th August, a huge vintage clothes and accessories market with live music to listen to while you browse. September: Do something charitable in the name of all things old-time and take part in the Vintage Midnight Walk; dress up and stroll 10 miles around London in vintage attire to raise money for two of East London’s hospices. I love the idea of dressing up and strolling around the streets of London in vintage attire to raise money for two of East London’s hospices. I think that's a great idea.